Port city Kotar in Montenegro. 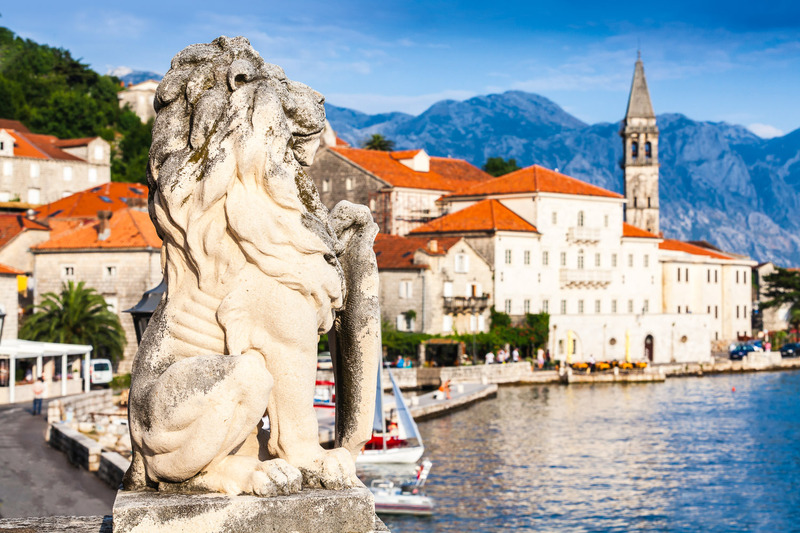 Must-see destinations to make the most of a seven-hour stop off in Kotar, Montenegro. • The old town is made for strolling, with its impossibly quaint cobbled streets and squares built in the Middle Ages between the 12th and 14th centuries. • Restored after a 1979 earthquake, the Maritime Museum of Montenegro has a mix of traditional exhibits and the drawing rooms of naval families complete with period furniture. • Be warned, there are between 1350 and 1500 stairs to climb up the old city walls to reach the hilltop Fortress of Sveti Ivan, but the view is well worth the effort; go prepared with proper shoes, lots of drinking water, sunscreen and a camera. • Sveti Luka or the Church of St Luke was built in 1195 as a Catholic church, but from 1657 to 1812 it had two alters, a Catholic one and an Orthodox one, with services in both religions being held in harmony. • Really appreciate your arrival and departure in to and out of the beautiful Bay of Kotor, an attraction in its own right.